The series of ‘Now That’s What I Call Music!’ compilation albums began their highly successful run back in 1983, and quite amazingly are still in production, some 28 years later! The series is currently on its staggering 78th volume! No doubt that every KajaFax reader has at some time or another owned at least one. Since its launch in December 1983, the ‘Now!’ brand has amassed over 100 million album sales, a remarkable achievement by any standards. 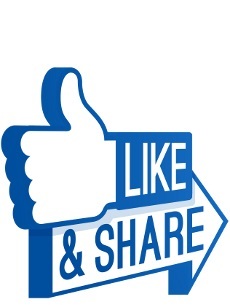 The original idea was conceived by two Virgin Records executives, searching for a way to recycle hit singles and thus generate additional revenue for the company. What was to unfold over the next quarter of a century would indicate that they probably met their original objectives! The series supposedly took its name and logo from a 1920’s Danish meat advertising poster, which showed a pig listening to a whistling cockerel. 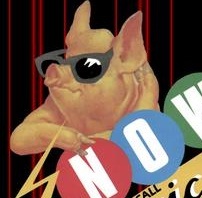 The pig became the ‘Now!’ series’ mascot – at least for a while. Kajagoogoo & Limahl were very much a part of the preliminary success of the ‘Now!’ albums, and their hits appeared on all of the earlier volumes of the series, with ‘Too Shy’, ‘Only For Love’, ‘Big Apple’, ‘The Lion’s Mouth’, ‘Too Much Trouble’, ‘Turn Your Back on Me’ and ‘Never Ending Story’ all making it onto the first four releases. The ‘Now!’ franchise also produced a fine selection of video and Laserdisc compilations, many of which are now collectors pieces. It is no wonder that in 2008 when ITV Television commissioned a show to celebrate the success of that inaugural 1983 album that they invited Kajagoogoo to perform. Now. That is what I call music. For those who can’t/dont want to download the press release link on this article, I cut and pasted the Kajagoogoo interview part below…. What does 1983 mean to you as a band? Your first hit Too Shy went straight to number one and is still played on the radio today, why do you think it’s been such a hit? The music industry has changed vastly over the last 25 years do you think it was harder to make a living in a band back then? What are Kajagoogoo’s future plans now that the band is back together? Limahl: “We are also writing new material as well and I think for all of us that’s so exciting. A nice little interview that unless you scroll down the ITV press release to read, you may miss! Loved this article, the Now albums were great for getting all the hits in one swoop but also getting stuff that you wouldn’t normally bother with. When I listen back to the Now albums from time to time, it’s rarely the obvious tracks tI listen to most. Been a while since I last bought one though, I don’t like enough modern music to bother!!!!! I was lucky enough to be in that audience at the 2008 Now 83 Special! It was filned at the Granada Tv studios in Manchester….. Only the singing is ‘live’ the band were miming their instruments! The band had to do the song twice for camera angles etc. I am on the video several times – spot me if you can!! I also got to speak to Limahl after & was not allowed to wave my pink Kajagoogoo scarf during the performance – spoilsports! It was a great 80’s line up though & fab to be part of that show! I like stories like that Rachel – first hand experience is great! NOW! was such a success because it was the first time two big record companies got together on a compilation album, Virgin and EMI. If you look at the early albums there is a strong bias to both those labels. I think I only have the first 4 on vinyl and a few later CD’s from their “Years” series. I do have all the early VHS releases tho. These are worth seeking out. The first video has Big Apple with the original sound. On the later Best of Kajagoogoo DVD the sound of the car screeching to a halt is missing. NOW 4 has the other version of Never Ending Story on it.